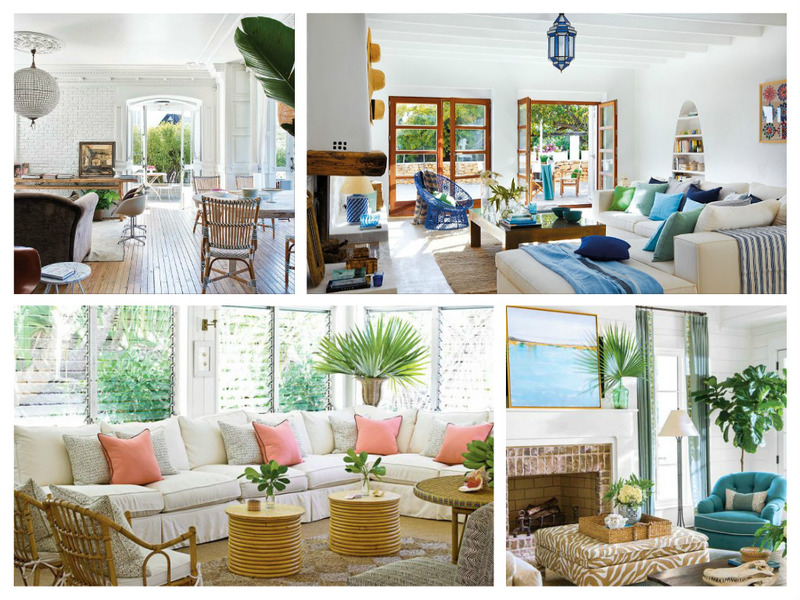 7 Ways to Create Island Style at Home for a relaxing interior that takes you to paradise. Island style is light, luxurious but casual, and fresh. 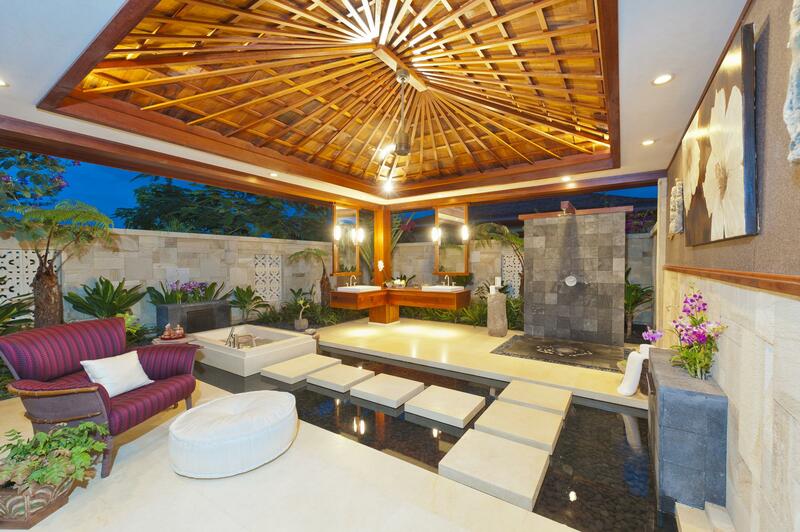 It calls to mind carefree days and the essence of warm ocean breezes at night. 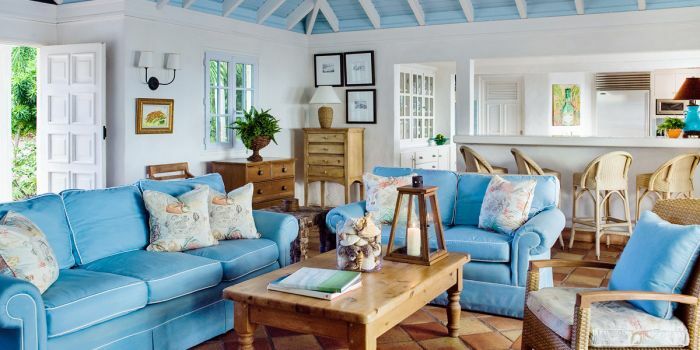 Here are 7 ways to create island style at home. 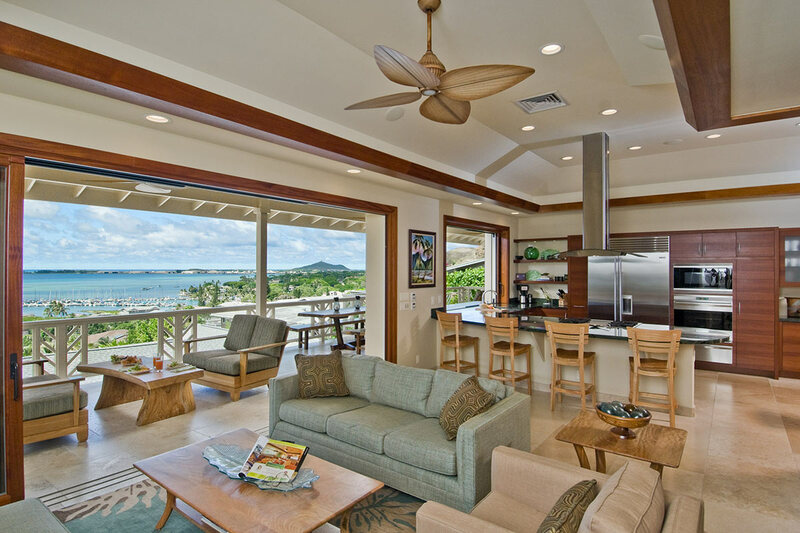 Infuse your home with the relaxing, fresh appeal of the islands with laid-back luxury. The essence of island style is comfort, natural elements, light, and cool colors. It is breezy and carefree. To achieve the unique style of the islands, channel a past vacation or simply imagine casual luxury that wraps you in light. Whether you live in the islands, the country or the city, let your view take the lead. Translate what is outside your window into the cool blue water, lush greenery and warm tones of sand. 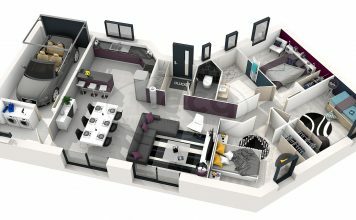 Let your imagination soar as you implement these elements into your design. Arrange furniture to take advantage of your view, no matter where it is. Take down those heavy window treatments and let in the natural light. Invest in a light-colored sofa. 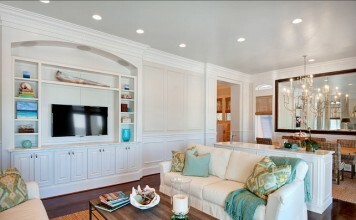 If white sofas aren’t practical, try slipcovers that can be easily removed for cleaning. 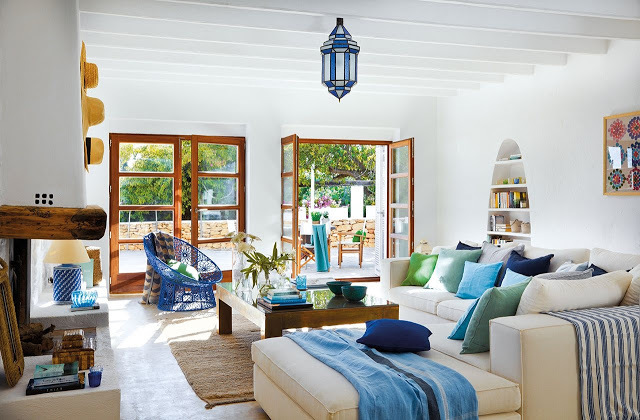 Paint your walls white to ramp up the airy feel of the islands. Furnish your rooms with warm, light wood tones. Include natural elements in your design. 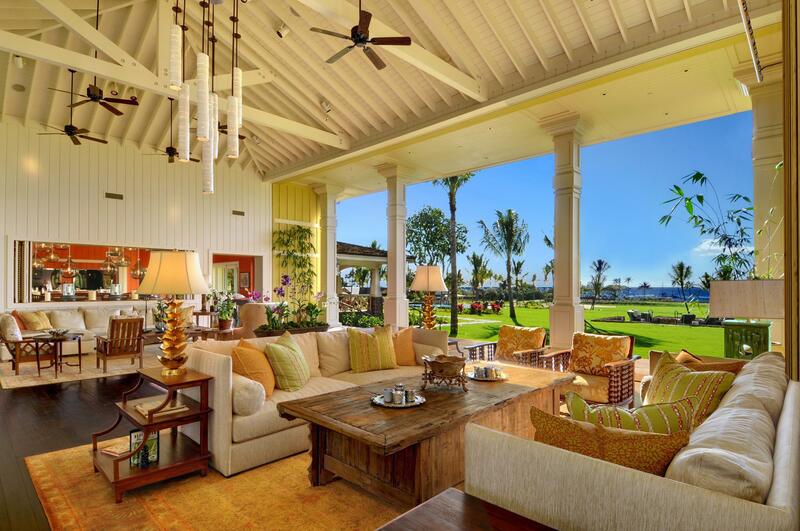 Sisal rugs, jute wallpaper and wicker furniture incorporate well into island style interiors. Finish this off with natural treasures, such as coral and seashells. 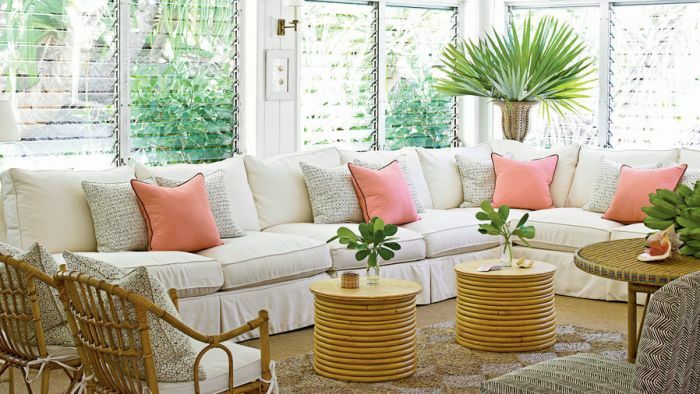 Rattan furniture lends an island vibe to interiors. It complements upholstered furniture by providing an openness of design that contributes to an airy feel. 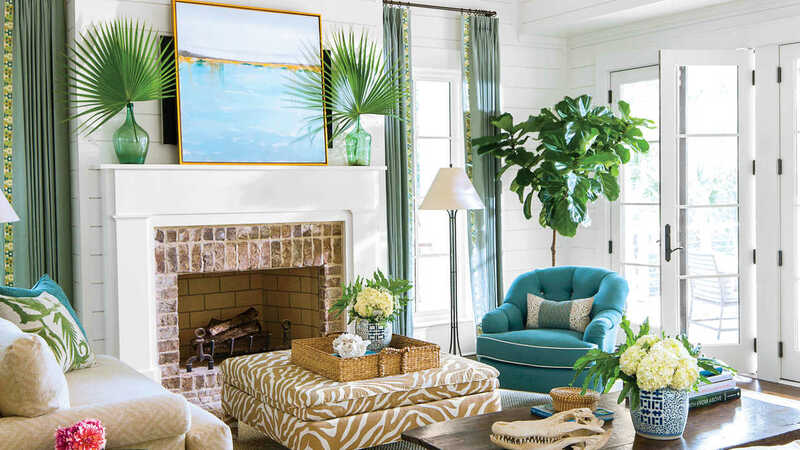 Add tropical plants for color, texture and more natural appeal. Comfort is key for relaxing, island style interiors. Soft furnishings upholstered in light colors are inviting. Use throw pillows to accent and provide plenty of plush comfort. 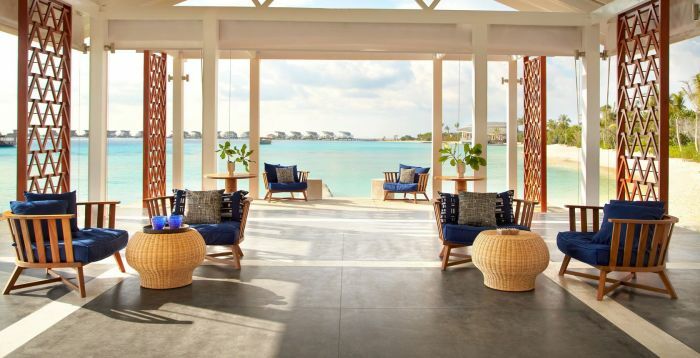 Let luxury island resorts inspire you. Take cues from their luxurious but laid-back designs. 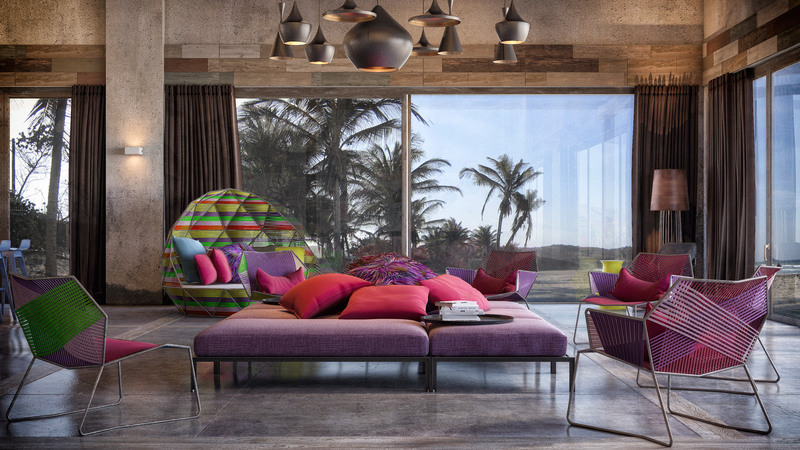 Large modular pieces accented with statement-worthy elements take a nod toward island style. Exuberant colors share the spotlight with the view. Dramatic ceiling treatments and water features take you away to the islands. 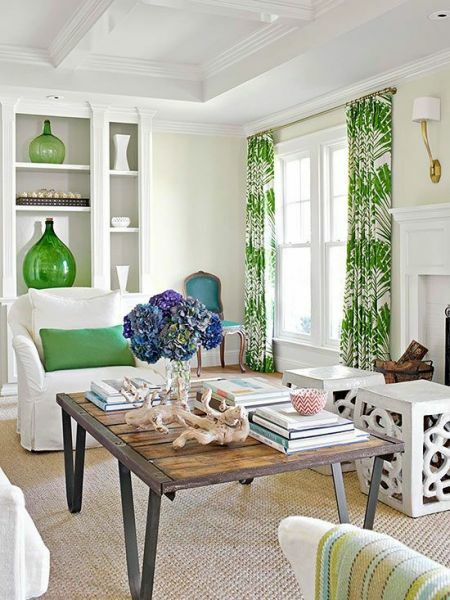 For a bright and airy aesthetic, lead with a cool color scheme of greens and blues. Mix in neutrals for interest and warmth. Knowing how to balance color is important to a low-key, laid-back luxurious look. The green pops in this white room. The color is used sparingly but makes a big impact. The natural fiber rug and wood table anchor the space. Think of your outdoor area as an extension of the interior. Blend these two areas for more space and a lighter approach. 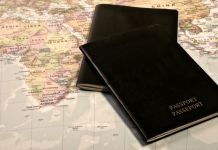 Are you ready to travel to the islands? Open your drapes or shades and welcome the light. 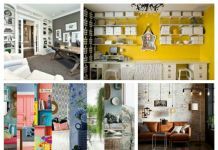 Now take these 7 elements and work them into your home. It will be your taste of the islands without the miles of travel.